Hi guys! 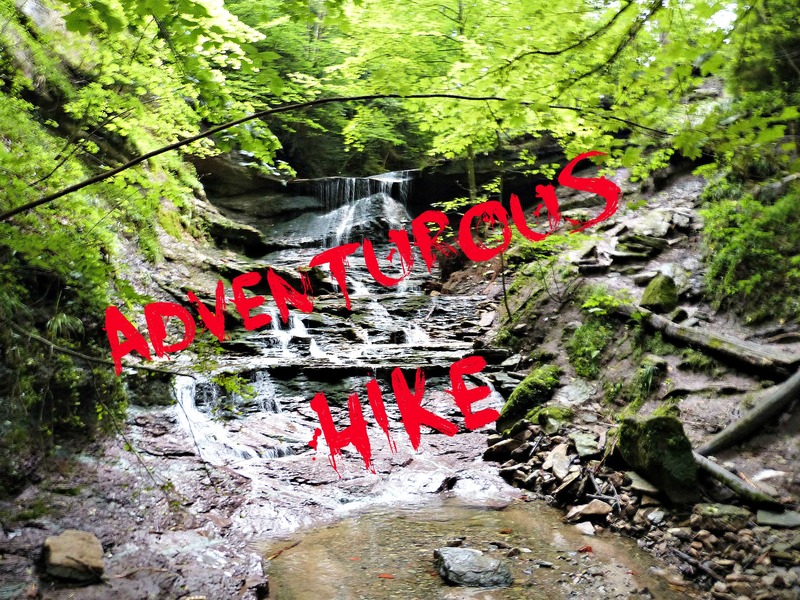 Are you ready for some fall themed activities? 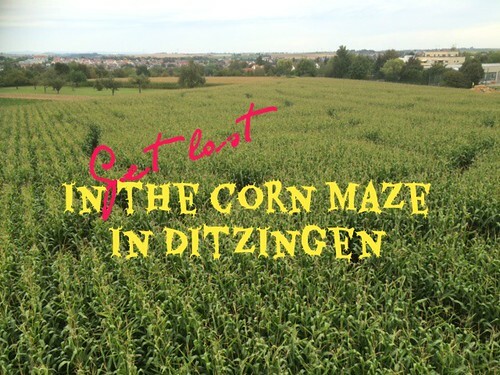 Then you should visit the corn maze in Ditzingen this weekend! 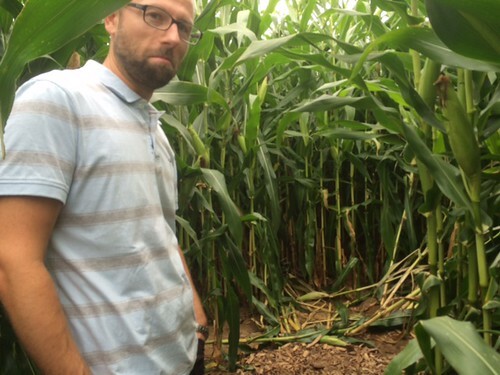 Even though corn mazes are around during the summer, too, I always feel like they are something you should do in fall. The corn maze in Ditzingen is the biggest one that I know in the area around Stuttgart. 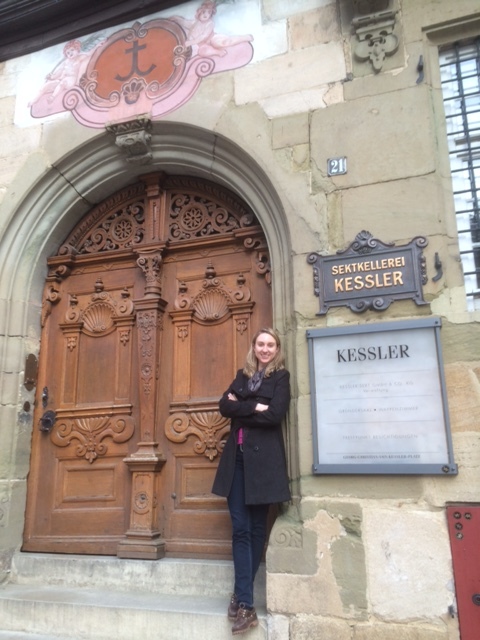 I always wanted to go but never made it – until this year! Moritz, his mum and I finally set a date and went! 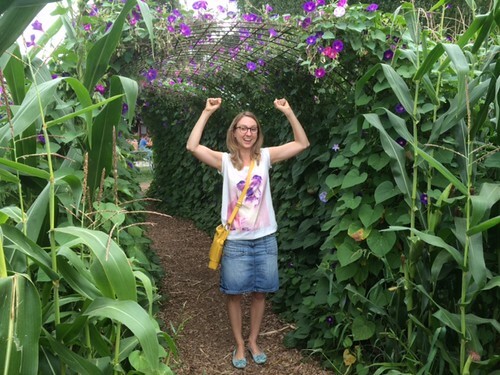 We paid 4 Euro entrance fee and entered the maze through a gate surrounded by flowers. Then we made our way through the corn field. 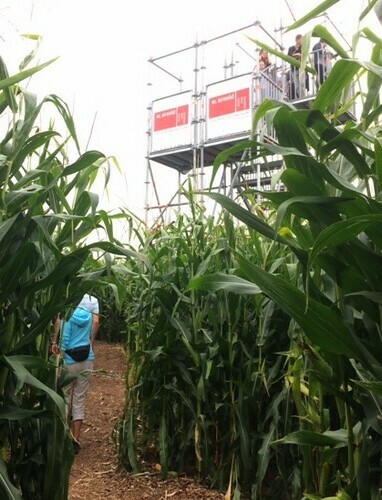 We where curious to find out where in the maze we were and how the corn maze looked from above so we climbed up 7 meters and peeked down. The view was pretty stunning. The maze is huge! At the entrance we could have bought a map but we felt adventurous and wanted to find the way out by ourselves. But after a while I understood why other people have bought the map: With the ticket comes a quiz sheet. 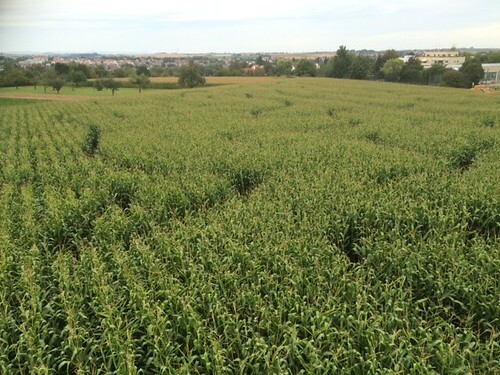 There are four checkpoints hidden in the corn maze. At each checkpoint you get a stamp. If you have collected all stamps you have the chance to win a prize. As the maze is huge it is very tricky to find all the checkpoints. We actually gave up after a while and concentrated on finding our way out again. 🙂 But even this was difficult. Too many dead ends… aaargh! On weekends, there are food trucks at the end of the maze where you can get snacks and drinks – plus a playground made out of hay for kids. 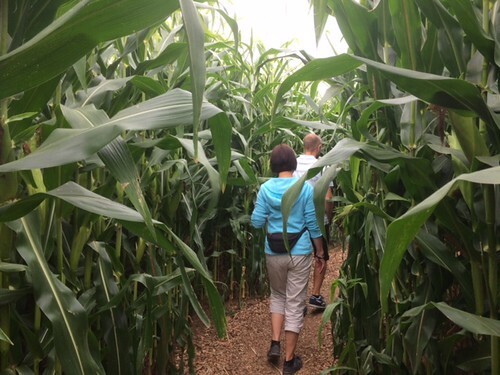 If you want to get lost in the corn maze in Ditzingen as well, you should hurry. It closes for the season after September 11!